Log In or Sign Up for a free account to rate this animation. Log In or Sign Up for a free account to post your own comments. 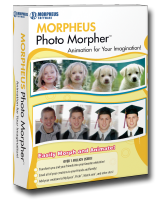 My morph was made using Morpheus Photo Morpher, an amazing photo animation software program used by millions to animate and share digital pictures. You have to check it out! Download your own Free Trial of Morpheus Photo Morpher and transform your favorite pictures into stunning animations like this one. It's easy and fun! Once you create your animation, you can email it to others, post it on your website, blog, or to sites like MySpace and YouTube. View Desan's gallery of animations for more. Great animations from some other users. View more random great animations.